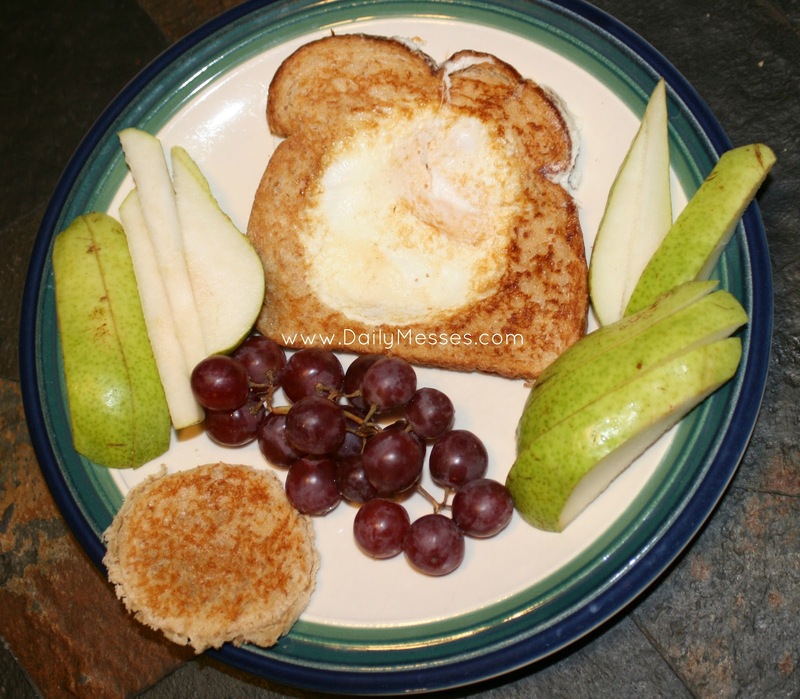 Need an easy breakfast that has carbs and protein? 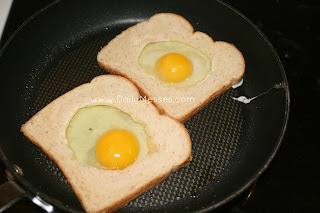 Try eggs in toast! My son loves this breakfast and it's really easy to make. 2. Butter both sides of the bread, but be careful not to rip the bread.TIP: I like to use melted or really softened butte since it spreads much easier. 3. Use the cup or cookie cutter to cut a circle in the middle of the bread. 4. Lightly spray the skillet and place in the bread. 5. Crack the egg and carefully add to the cutout section of the bread. Allow to cook. cook. Check to see if it is done by lifting up a corner. I also like to toast the circle cutouts in the skillet and serve those on the side of the plate.